Isn’t it rewarding and refreshing to travel in a clean car? Well, of course! Who would want to travel with bird poop splatters on a car’s exterior or food stains on the car seats? After all, car cleaning products are now available almost everywhere, and car wash attendants usually do a good job. 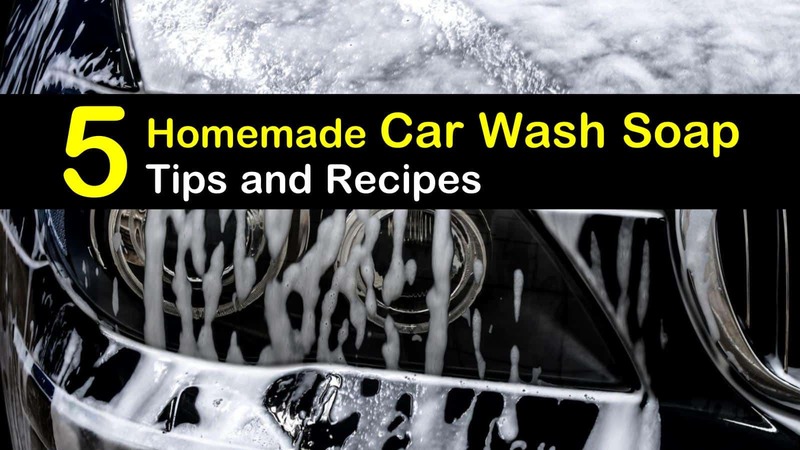 However, you should consider making your own homemade car wash soap because it is cheaper and safer and you’ll know exactly what substances are in your car wash solution. 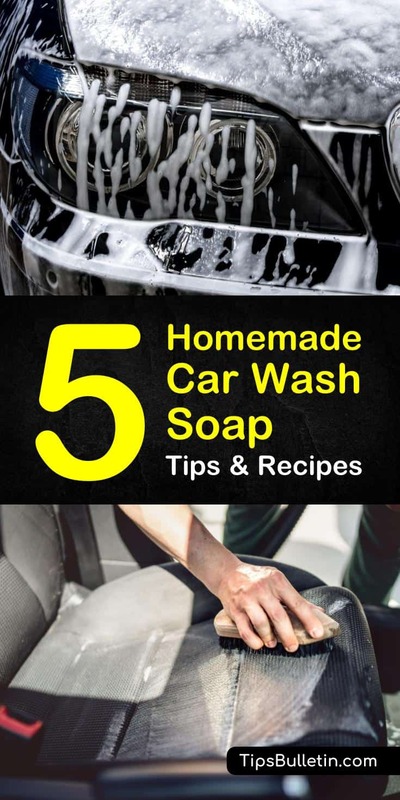 Here, we have listed five amazing tricks to make your DIY car wash soap, as well as tips on how to give your beloved car a good bath. Why Use DIY Car Wash Solution? Were you aware that using a wrong cleaning solution can damage the body of the car? Did you know that some commercial cleaning products consist of chemicals that can do more harm than good for your vehicle? To get the car cleaning results that you want, you need to know what goes into your car washing solution − by making your own DIY car wash soap. Before washing your car using any cleaning products, check if they are appropriate for your vehicle first. An old car may require you to use a different homemade car wash solution with a polishing recipe, while a new car doesn’t need one because it may still have a clear coat on the car’s surface. To use this recipe, mix the soap in a bucket of warm water and use it to soap your car. Then, rinse it properly with cold water. This recipe is safe even for new cars because it is formulated with a mild soap mixture to prevent stripping off the car’s protective wax. A great way to clean car windows is to create a DIY car wash cleaner that has an acidic ingredient such as vinegar. An acidic solution is useful because most stains have alkaline pH levels. Pour cold water and vinegar in a large spray bottle. Add the liquid dish detergent. As soon as your windshield or windows show water spots and dirt marks, take out your solution and spritz it on the glass. You can use a soft cloth if you don’t have microfiber towels to wipe them clean afterward. Being splattered with tree sap and bird poop is not uncommon especially if you are parking near mature trees. With birds seeking shelters in branches and leaves, it doesn’t take much thought to why your car exterior sometimes harbors bird poop. If this happens, we advise not to let the poo sit a long time so it won’t cause extensive damage to your car’s paint. In a bucket of water, pour the liquid dishwashing detergent and baking soda. Stir and mix them thoroughly. Then, pour the bird poop cleaner and tar remover recipe over the splatters and let it soak for a couple of minutes to soften the bird poop, tar, or sap. The baking soda will neutralize the acidity of the dish soap, making it safe for your car’s surface. Use a separate bucket of rinsing water to avoid your cleaning cloth to trap soapy water and to allow proper rinsing. Ideally, you should wash your car one section at a time to prevent the car soap from drying on your car paint. Car floor mats and rugs are prone to stains from spilled drinks, food crumbs, and mud from shoes. During winter, they even take heavier soiling and staining. But, you don’t need to buy commercial car carpet shampoo. Instead, with some household products you have at home, you can make a homemade car wash soap for your car mats. Mix the ingredients into a spray bottle. Sprinkle the homemade car wash solution on the carpet and let it sit for a few minutes. If the car seats are dirty, this recipe also works as a DIY couch cleaner. For heavily soiled floor mats, if you want to clean it thoroughly, remove them and soak them into a basin with the same recipe. When it comes to cleaning cars, washing a muddy, off-road vehicle with just a basic car wash soap, is difficult. So, for your car maintenance, here is a formula to make your own car wash soap. There is nothing complicated about how this DIY car wash soap works. The homemade detergent and the dishwashing soap will take care of the mud and grime from your vehicle. Mix all of the ingredients in a bucket of water to soap up your car. After soaping, rinse with cold water using a garden hose or a separate bucket of water. Dry the body of the vehicle using a microfiber towel to avoid tiny scratches. For final polishing of your headlights, grab old pantyhose and rub vigorously on your car lights to keep them sparkly and shiny. As simple as the car cleaning process may seem, there are some things to watch out for so that you don’t accidentally degrade your car’s finish. As we have mentioned, some commercial cleaning products may contain harmful substances. If you are not familiar with the chemical composition of commercial car wash products and you are not sure if they are safe, make a homemade car wash solution instead. Now that you know how to make homemade car wash soap to clean a car, please share these car cleaning tips with your friends on Pinterest and Facebook so they can make their own DIY car wash soap.